Just had an educational chat with EAT USA master TT guru, Roy. Although he sees and works on these tables every day - hey maybe too many days a week, Roy, take a rest - he's always excited to talk about their unique differences and the USA influence on EAT. Roy went into all the special aspects of their carbon fiber arm mated to the aluminum headshell to properly balance out and dampen the resonance frequencies of both. Something he reminds us is not done with solid arms of the bigger names. The large head above the arm pivot also uses its mass to balance the force and dampening especially when combined with the special floating sub-chassis with thermo plastic elastomers TPE (made by Ortofon especially for EAT). This, in turn, works with the isolation adjustable feet. Even the record clamp is USA influenced. Many record clamps that screw down have such force exerted by owners that the outer lip of the record actually raises up. To counter this, the EAT clamp has a concave inner shape that prevents that from happening. Initially, a USA request, all EAT B-Sharps worldwide are now shipped with this clamp. The low noise motor is also isolated to dampen the harmful resonance frequencies further. Add a 3.9 lb aluminum platter, fully adjustable arm (VTA/RSA/Azumith) and an Ortofon Blue cartridge as standard -- you get a lot of table for the price. 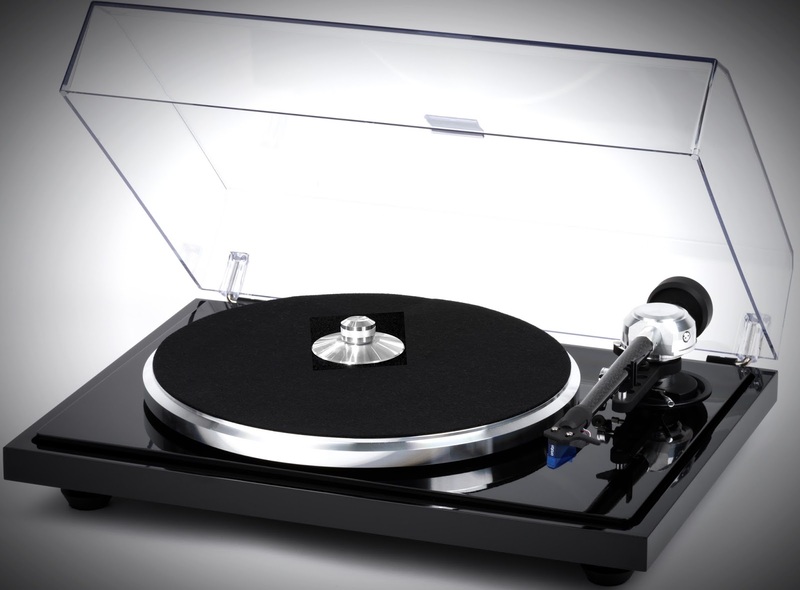 Mofi Introduces the Improved Record Weight.